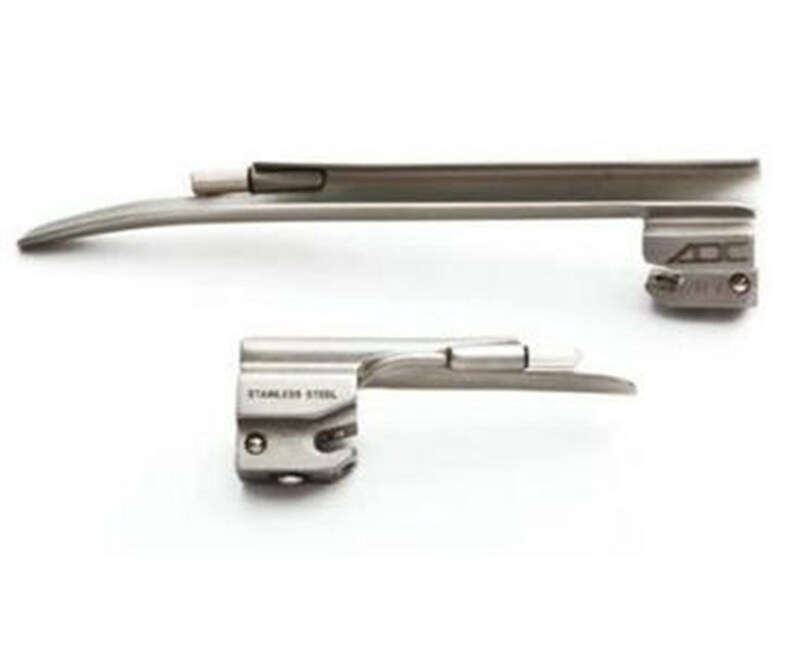 The ADC Miller Standard Laryngoscope Blades offers quality and value for the discerning physician. Available in a variety of sizes. The Miller blades are the most popular of the straight blade designs. 4080-0 - Size 00 Small Preemie Overall Length: 65 mm Inside Length: 43 mm Lamp #4500. 4080- Size 0 Preemie Overall Length: 75 mm Inside Length: 53 mm Lamp #4500. 4081- Size 1 Infant Overall Length: 102 mm Inside Length 80 mm Lamp #4500. 4082- Size 2 Child Overall Length: 155 mm Inside Length: 133 mm Lamp #4501. 4083- Size 3 Medium Adult Overall Length: 195 mm Inside Length: 173 mm Lamp #4501. 4084- Size 4 Large Adult Overall Length: 205 mm Inside Length: 183 mm Lamp #4501. All ADC products are assembled, package and inspected in the USA. 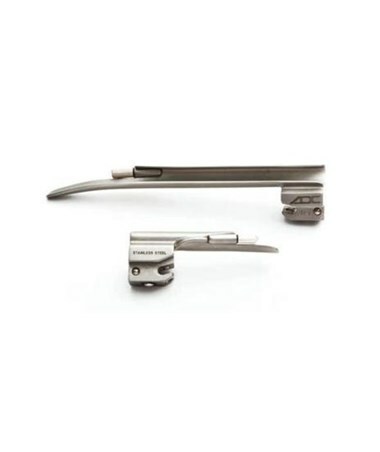 The Standard Miller Laryngoscope blades come with a generous 1 year warranty. Most popular of the straight blade designs. Choice of sizes 00, 0, 1, 2, 3, 4.